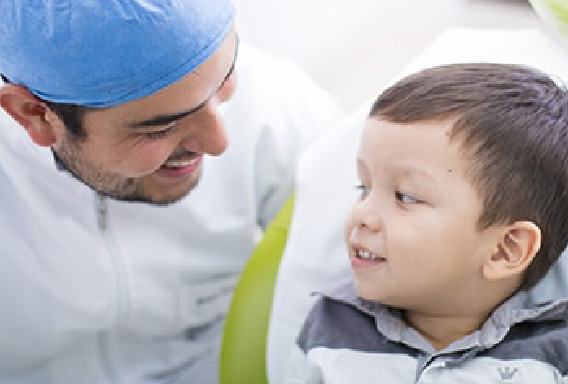 Offering a unique medical-dental model of comprehensive, high-quality specialized anesthesia dentistry for infants, children, and adolescents, going the extra mile at our outpatient dental surgical facility in Hampton Roads, Virginia. 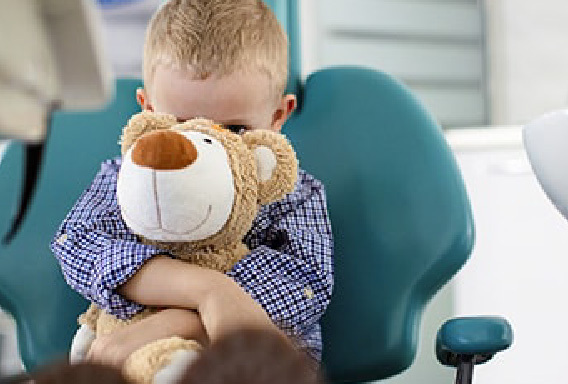 Our team of pediatric dentists, anesthesiologists, and expertly-trained assistants and nurses specialize in treating patients with severe dental anxiety, surgical and dental care needs in a safe and comfortable environment. Your children will be cared for as if they were our own in a clean, professional and positive setting. Patient safety is our #1 priority. That’s why we offer outpatient general anesthesia or sedation in our dental surgery center built specifically for such treatments. Whether it’s your child’s first visit or a routine one, dental check-ups are essential for healthy teeth and preventing dental diseases. 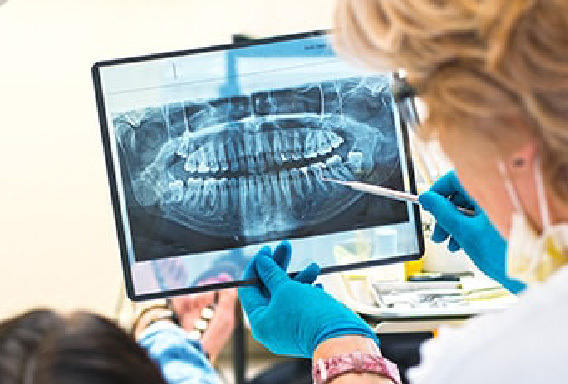 Dental radiographs or x-rays reveal unseen cavities and ensure proper teeth and jaw development. But don’t worry, the radiation exposure is less than what your child would get during a plane ride. Dental surgery such as an extraction is necessary when a tooth is severely damaged. This procedure is often paired with our general anesthesia care. 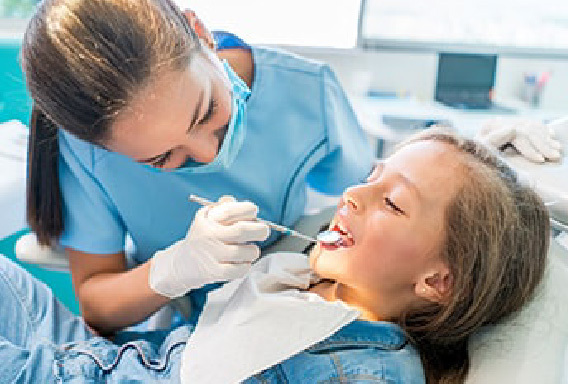 Restorative Dentistry not only stops the progression of cavities, but it also fixes dental defects with fillings and crowns, and leaves your child with better oral health. Dental cleanings every 6 months help ensure the removal of dental plaque. We also offer sealants and fluoride treatments to prevent tooth decay and gum disease. The did an amazing job with my special needs son!!! Anxiously awaiting to hug my son after surgery. I'll say it again, the staff here are top notch, so cordial and they keep you informed on everything. I'm so glad we were recommended to come here. I can't thank the doctors and staff at Coastal enough for taking such great care of my son. They were attentive and caring from the first visit to the day of his procedure. Dr. Kari and Dr. Wong were open and willing to answer all my questions. They both explained the plan in great detail and I was never left without knowing if something changed. I have full confidence in this practice and am beyond thankful for them. Please avoid yourself the headache and go somewhere that actually cares about its patients and doesn’t see you as just $$$. If you still choose to go please make sure you’re well versed in health insurance and prepare yourself for a lot of admin work on your behalf as the billing dept is absolutely awful. The biller works offsite and those at the billing office have little to no clue about what’s going on with your claims all they can tell you is how much you owe but can’t give you a break down of what or why. Here were some of the issues I went through: 1. Incorrect research on benefits. This was my first time going to a dentist office (or office in general) where they don’t look up your benefits to see if it is covered. I was advised there would be a “good chance” of us getting “some” money back even thought they couldn’t guarantee all of it back for the anesthesia, however after the services I found out this type of anesthesia is not covered for my son’s service. 2. Constant back and forth between the insurance company and the staff. I continuously had to reach out to health insurances (we have 2 dental insurances) so I had to play middle man between Coastal dental and the insurances to make sure my claims would be processed. 3. After ONE of the two insurances processed the claim, Coastal Dental sent us a statement and stated that we’re responsible for the remaining balance however the second insurance did not receive the information they needed from coastal dental in order to get the chance to process their claims and pay. 4. Rude staff. I got to the point where I had to record conversations for proof because their biller Chris began to scream at me over the phone and hung up when I began to raise my voice back at her. When I told her i felt like I was doing a little more than necessary to get these claims paid she told me that it was MY job go to back and forth between the insurance and coastal dental to make sure the claims were paid. When I spoke to her manager molly, I could definitely tell that they strive to protect their associates. I advised her that Chris was yelling and she advised that PERHAPS IT WAS HER MIC OR HER PHONE! As if we don’t all know what yelling sounds like! When I told her that Chris also interrupted me and would not allow me to speak she told me that Chris advised her that she let me talk for “15 MIN STRAIGHT” before she got a chance to speak which is funny since my phone showed WE WERE ONLY ON THE PHONE FOR 8 MIN! Molly also had THE NERVE to tell me that it was “interesting” that I had only started to call when I was told I’d be sent to collections. When I told her that I’ve been constantly checking up she proceeded to tell me she only had 2 records in which I called however my phone records (that I have screen shots of) show 1 call 10/08, 2 calls 11/06, 6 calls 11/13, and 1 call 11/19. 5. A “different kind of treatment.” I spent last and this week trying to figure out where the discrepancy in payment is and I STILL have not gotten an answer and today is the day that were set to be sent to collections. Yesterday Molly had me on hold for 20 min (no exaggerations I have recorded calls to prove it) trying to figure out why they are still charging me for anesthesia when I have paid 1500 and our insurances have not been properly billed yet. They state that they handle collection situations on a “case by case” basis but I’m just curious as to what it is about our case that doesn’t qualify for an extension on the payment due date and being sent to collections especially when they don’t even know what I owe and why. *It also seems funny how they placed my call on hold for 20 min close to closing time and never called me back to finish discussing my issue. My husband has called persistently today and still has not received a response. It’s as if their goal is to have us sent to collections! I bet it was a headache just reading this story! Imagine actually going through it! Please save yourself the aggravation there are plenty of dentist who actually care about their customers! This place is AMAZING!!! My autistic son was seen there and recently had surgery. They were super caring, courteous, great with my child, the list could go on and on. They made sure they spoke with me before and after the procedure, gave us extra care after, and they even called after hours to make sure my son was okay. I highly recommend this dental office!!! Great staff!!! Everyone was super friendly and did great with my nervous 6 year old. Such a great team. My son has always a great experience. He loves it therefore I do it too. Thank you coastal pediatric dental and anesthesia for keeping my son’s teeth nice and healthy! The staff are amazing! They’re always so friendly and kind. My daughter absolutely loves going to get her teeth cleaned. The dental hygienists are always so patient with her and Dr. Kari is amazing! I can’t say enough great things about Coastal and their staff! We were referred to their office for treatment for our 4yr old, who needed quite extensive dental work under general anesthesia. I’ve read many horror stories about having procedures like this done in an office setting, rather than a hospital and I was very apprehensive before the first consult. All of that changed the minute my son and I walked through the doors. Dr. Wong and Eliana explain EVERYTHING in great detail, they give you a complete tour and they let you ask a million worrisome questions. I left there feeling much better about the upcoming procedure. Their office staff stay in touch leading up to the appt. to go over insurance, billing, and any final questions. The day of the procedure they make everyone feel at ease and completely safe, they took great care of my baby and I couldn’t be more thankful. After the procedure Dr. Kari came out and went over what they did and what to expect at home. Later that evening she called to check on my son and to see if I had any questions or concerns. It truly is a state of the art facility, with amazing Dr’s and staff, that genuinely care for your child. Having to have dental work done on a toddler can be the most stressful anxiety filled choice. However Dr.Wong and Dr.Kari made my experience a great one. They really take the time to explain the necessary procedures, truly care about the patients and their parents, and the front office staff are amazing fighting to keep out of pocket costs down by negotiating with the insurance companies. I highly recommend these amazing doctors and their staff for anyone with toddlers who may need work done. If ever we need pediatric dental work in the future I won’t hesitate to come back! I have a special needs son and his needs are always met! The whole staff is ABSOLUTELY AMAZING! This is the only dentist office that has never judged my son based off of his autistic behaviors. The whole office is truly amazing! Today was the best experience ever in the dentist office. We are new patients and the staff was nothing short of amazing with children on the spectrum. Dr. Wong, Dr. Kari and the entire staff, was just wonderful, patient, and just kind. All of the procedures were explained in great detail. Thank you!!! Amazing. I will never go to another dentist. They are the best! Great office! We switched to Coastal due to a change in insurance and they have been great. Both of my children have had to have teeth pulled before orthodontic work and the team here is wonderful! Dr. Kari and staff are amazing!! We wouldn't go anywhere else for my children's dental visits. Thank you so much for taking care of our sweet boy today and making him feel so comfortable! Fantastic job done by Coastal Pediatric Dentistry and Anestehsia for our daughter Megan! This is such a one of a kind practice and fantastic patient care! When you are the parent of a Special Needs child, it is so hard to do dental care. This practice is the solution to get dental care with peace of mind that our daughter is being cared for by the best! Highly recommended! If you’re not going here then you’re settling for a subpar pediatric dentist! There are a lot of horrible pediatric dentists in Hampton Roads, this is the ONLY one you should ever take your children to!!!! We spent almost a year trying to find the right treatment plan, the right staff, and the right facility until we found this one. The Dr’s are not only amazing, and use cutting edge technology/technique, but they also have a huge heart and keep your child’s well being their top( and I mean top) priority. Stop what you’re doing and schedule your child’s next appointment or cleaning with them, you’ll thank yourself for reading this review later!!!! This office is amazing! Coming in it is extremely clean, organized, professional, and fun! Definitely not intimidating for those children who are afraid, and the staff is super informative and welcoming. I was in extreme pain and they got me in within the same week. Dr. Wong pulled my wisdom teeth and did a phenomenal job. The staff kept me relaxed the entire time and made positive that there were no concerns or questions unanswered. If I could give coastal 10 starts I would! Thank you, Jon and staff! My babies have had some pretty awful experiences in the past with dentists. It’s made me apprehensive but determined to find the “right” fit. From the initial phone call, speaking with Ms Chris, to meeting with Dr Kari and Dr Wong I knew that they had not only the expertise but compassion with my children’s mental health being just as important as their dental health! This team of amazing people have put us on the track to dental confidence and I am beyond appreciative! Thank you so much Coastal Dental! You all are amazing! Dr. Kari is the best! Her staff was calm, welcoming and accommodating of my child’s needs. Worth the drive across the HRBT for sure! What an awesome place to bring kids for their dental health. 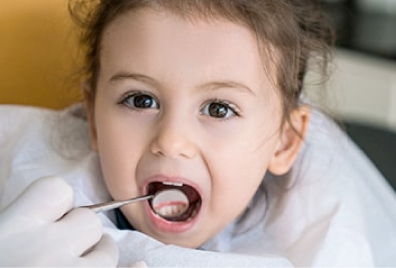 Great childhood dental experience will help set the tone for their adulthood. I wish I can be a kid again! It is so reassuring to know there is a dentist that provides safe and gentle dentistry and sedation services in the region! So needed and much appreciated. Thank you! Just had my teeth cleaned and a filling and the staff was very professional and caring!!! Dr Wong made the procedure seem like a breeze...This office makes sure their patients concerns and cares at first and foremost!!!! Will definitely be going back!!!! Thank you Dr. Wong and your tremendous staff!!! I love Dr. Kari and Dr. Wong ! They are so awesome! Love Dr. Kari and staff! They were great with my daughter during our visit! The office is so open and inviting, not scary. You will not find better!! Amazing to say the least! Absolutely the most fantastic dentists in the Tidewater area. I do not have any children, but my godson will certainly be going there for his first dental check up! Your children could not be in better hands! I can't say enough great things about Drs. Kari and Wong they are both amazing dentists. I would highly recommend their practice to anyone with children. Both Dr. Wong & Dr.Kari are wonderful with the kids! Dr Kari is a great Pediatric Dentist! Your children and family will be in good hands with her and her staff. Dr Kari is amazing!!! Her bedside manner is fabulous with both the children and adults. My 4 kids actually enjoy going to the dentist when they know they get to see her!! Addison had two teeth extracted by Dr Kari in order to make room for his big boy teeth. He loved the "chocolate air" and the whole experience he thought was fun. I was pretty shocked that it was enjoyable for my 6 year old! Great job! Jon Wong is a caring and highly skilled Dental Anesthesiologist!! Excellent Pediatric Dentist! Dr. Cwiak is a great children's dentist. She is kind and caring and is simply terrific with children. She will take wonderful care of your children and you will never want to go anywhere else. You have found your dental home!